Detail of the scene inside - see the background peeking through? 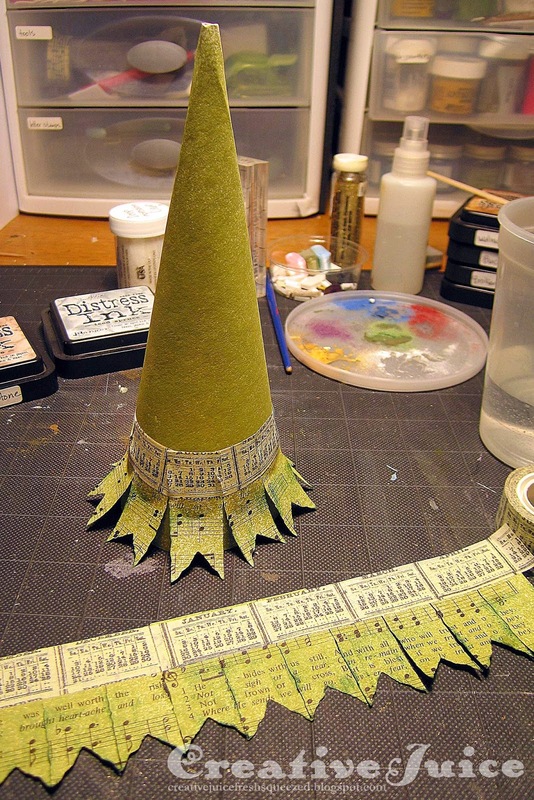 You might be wondering how to make a nifty Christmas tree like the one in the inside scene. Well, I am going to tell you! ;-) First I made a cone out of Bristol board (like a heavyweight cardstock). I sprayed it with Peeled Paint Spray Distress Stain. I also misted several sheets of music torn from an old hymnal. I cut the "branches" using the Ribbon Flags strip die. While they were still stuck to the die, ran a strip of Tissue Tape across the top of all the little flag pieces so I'd have one long strip section. After putting extra adhesive on the back of the strip, I'd wrap it around the cone shape. I did have to cut slits in the tissue tape to help form the strip to the surface of the cone base. I continued on up the cone until it was all covered. 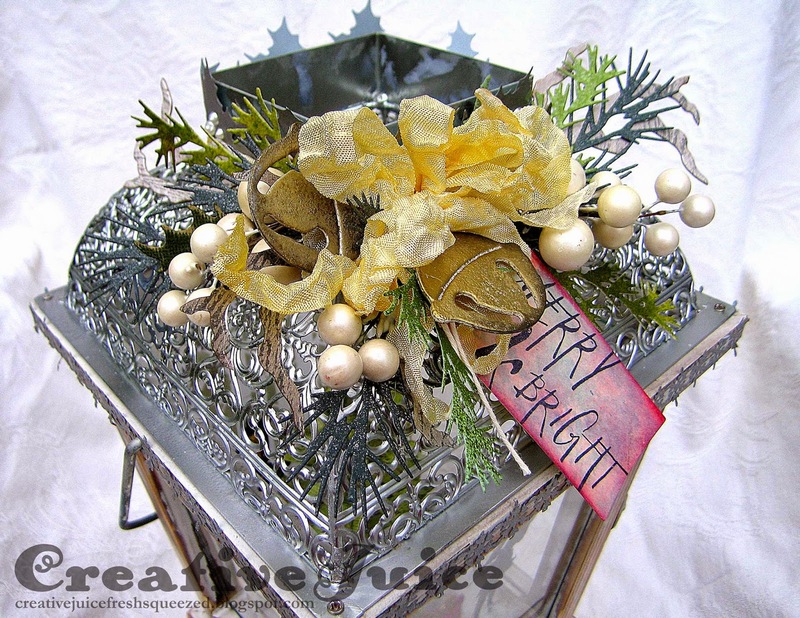 I also want to share that the December challenge is up and running at Inspiration Journal. The theme is music – Sing, Sing it Loud! Be sure to go check it out and join in for a chance to win $50 to spend at Inspiration Emporium. I am also going to enter this into the Craft Hoarders Anonymous Celebrate the Season challenge. I admit to being a great hoarder of Christmas supplies! And…This fits the super fun Mixed Media Monthly Challenge#7 Tic Tac Toe. I went to town on the board and covered everything except tape so… Bow, Stencil, Die – Stencil, Glitter, Patterned Paper (tree) – Star, Patterned paper, Ribbon – Die, Stamps, Ribbon – Bow, Glitter, Ribbon – Star, Glitter, Die. I think that's all of them lol. Whew! Your card is amazing! LOVE the gold and the snowflakes! AND your lantern is drop dead gorgeous! Just a WOW!!! 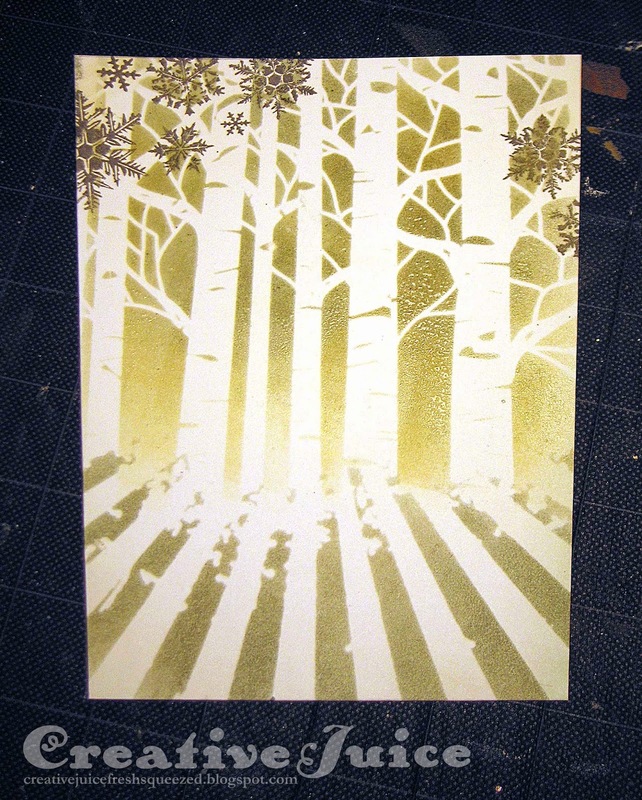 Thanks so much for playing along with us on the Layered Stencil Embossing challenge at CC3Challenge!!! Whoa! Seriously love your technique for that cool tree. Thanks for sharing. Love that lantern! Oh my, your projects are beautiful! Thanks for joining us at Craft Hoarders Anonymous! What gorgeous pieces you have created! Thanks for instructions on the tree! Thanks for joining us at Craft Hoarders Anonymous! Over the top beautiful! Thanks for joining us at Craft Hoarders Anonymous! 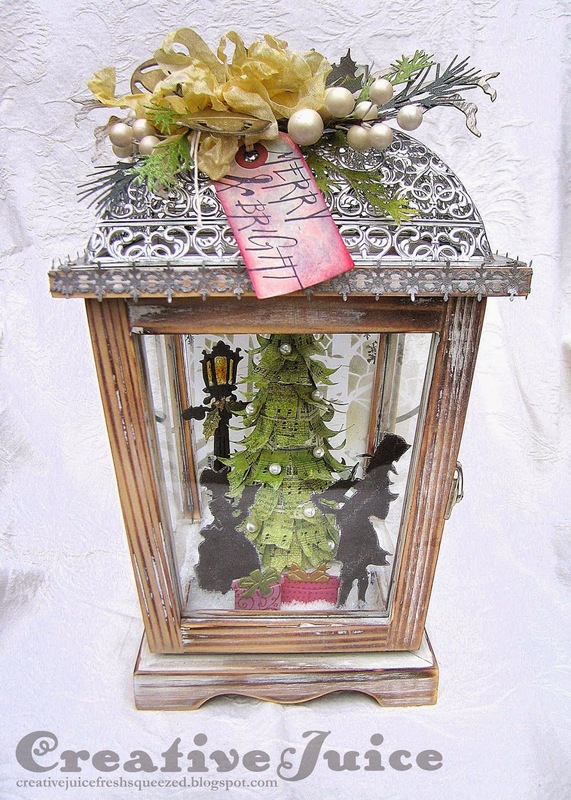 I just love your wonderful lantern and the beautiful Christmas scene inside! thanks so much for sharing how you made that fun tree! So many beautiful elements on your Lantern...loved the way you built up the pine tree. Oh, My, Lisa, My heart just skipped a beat when I first laid eyes on this remarkable lantern. 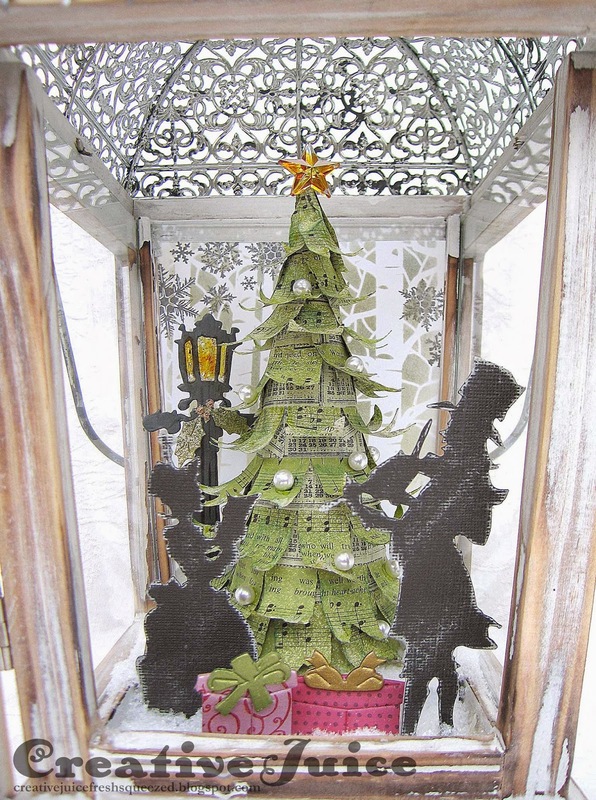 It is just so beautiful and such a creative use of the dies for the tree! I love the background you have created especially! You are one heck of an inspiring crafter! thank you so much for sharing your lovely creations with us! Delightful projects! The lantern is divine! Thanks for sharing with us at Craft Hoarders Anonymous! That lantern is the most creative thing ever! I love it. Thanks for sharing with us at Craft Hoarders Anonymous! Awesome altered lantern. All the pieces work perfectly together! Thanks for joining us this month at the Mixed Media Monthly Challenge! Congrats Lisa! 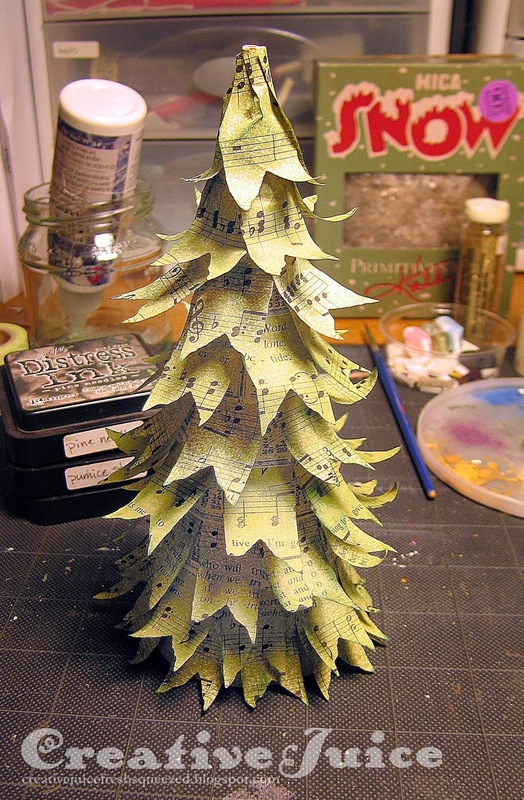 Love the tree and details, I will have to try this sometime! this is amazing! way better than the kohls version I'm sure of it! i just love what you've made. Thank you so much for playing with the Mixed Media Monthly Challenge! And Happy New year!